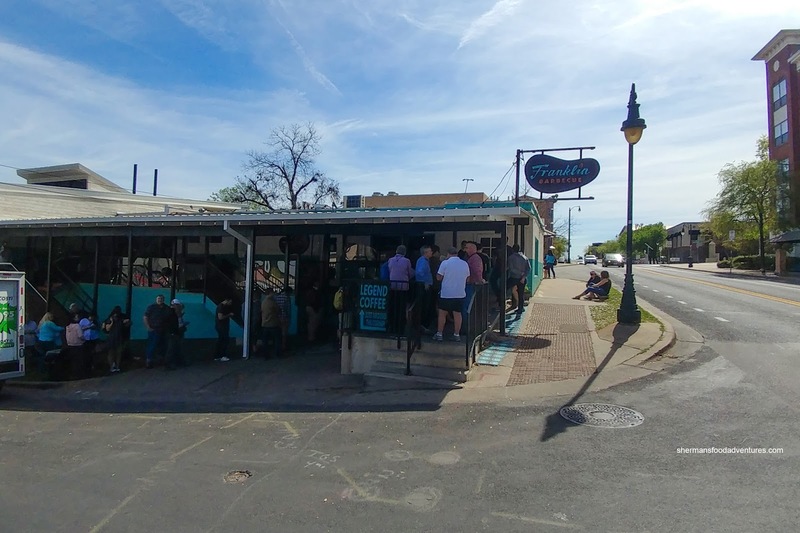 For many, Franklin Barbecue represents the holy grail of smoked brisket. Sure, there are those who would say many other places do just as good of a job, if not better. I've done my research and if we just stuck with Austin, there is La BBQ, Black's and Micklethwait Craft Meats. Now, if we open it up to the entirety of Texas, there is Snow's, Corkscrew and so on... 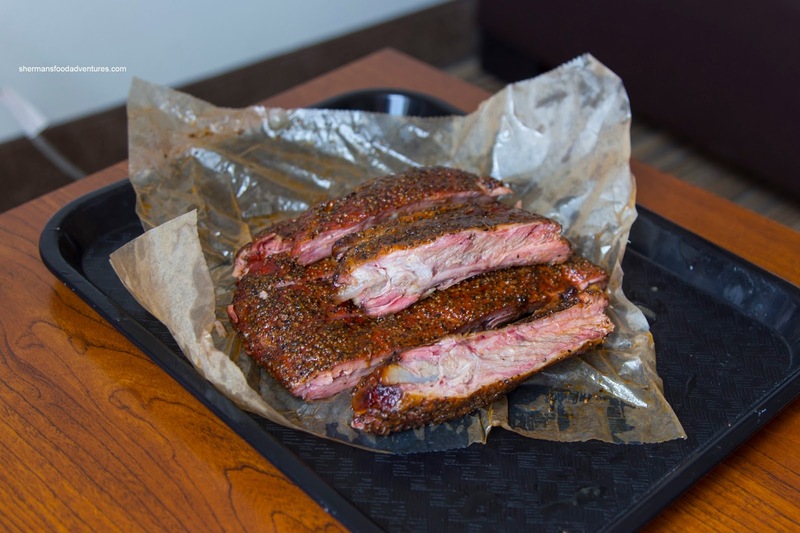 But we were getting BBQ'd out and had to limit our intake to one in Austin, so we chose the media darling (as seen on TV and the movie Chef) in Franklin. 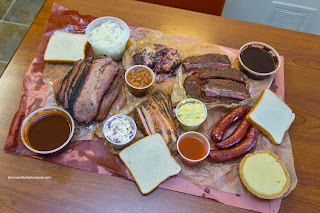 In fact, I had pre-ordered 5 lbs of meat and sides so that I wouldn't need to line up. We took the short drive back to our hotel to enjoy the feast. Heck, I dug straight into the Beef Brisket first since this is what I've been waiting for. Oh man, this definitely lived up to the hype and accolades. I'm sure many would point out their personal favourites, but for me, this was every bit as good as I have dreamed of. It was smoky enough without being overwhelming while the bark was flavorful. The meat itself was super moist and fatty without being mushy. 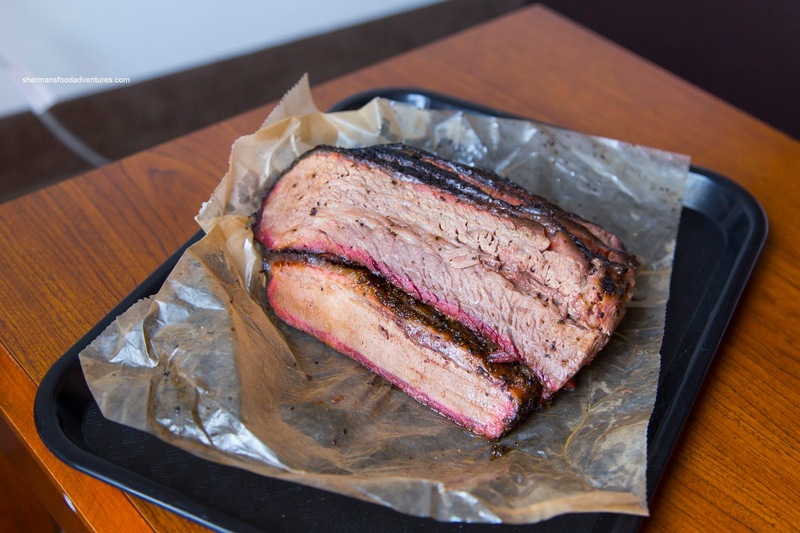 It retained the meatiness of brisket. The same could be said about the Pork Side Ribs. They were also juicy with tender meat that melted in our mouths (except for the lean portion). It was mildly smoky with a tasty peppery spice rub on the outside. Unlike the ones from Pecan Lodge and Heim, we found the Pulled Pork at Franklin to be really good. It was moist and tender where we needed very little sauce (if all). It was also mildly smoky and spiced. The BBQ sauce was necessary not for moisture, but for overall flavor. 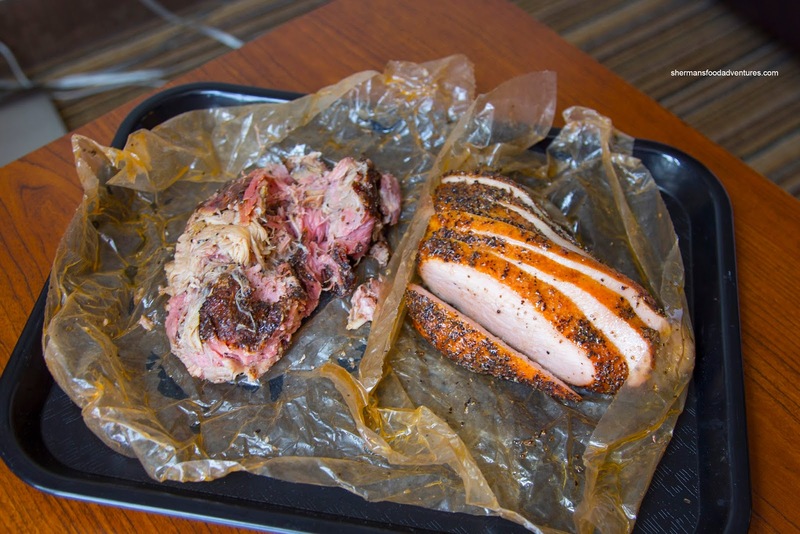 We weren't fans of the Smoked Turkey Breast since it was predictably dry and at parts, chewy. There probably was no way around this due to the lack of fat. However, it probably would've helped if they had sliced this thinly. We found this not smoky enough for our tastes and generally lacking in flavor. It was fine on the edges as the spice rub was good, but other than that, we had to douse it with BBQ sauce for moisture and flavor. 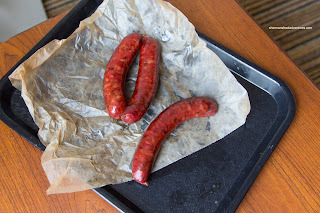 Although the Smoked Sausage was fairly tasty due to the fatty and juicy meat, the casing was too chewy for our tastes. It was hard to get through, even with a knife. As with the other meats, it was also appealingly smoky. The whole thing also included a loaf of white bread, onions, pickles and 2 types of BBQ sauces (one was peppery and sweet while the other was much more smoky and rich). We added beans, potato salad and coleslaw that were all okay, but nothing special. For dessert, we had a small Bourbon Banana Cream Pie which was pretty good. The crumbly, yet firm crust was buttery and held together. In the middle, the filling was creamy and dense being just sweet enough and aromatic. Overall, we quite enjoyed the brisket, ribs and pulled pork, yet not as enthused about the turkey and sausages. Despite what people might say, I still think if you are ever in Austin, it is worth checking out Franklin. Pulled pork is best North Carolina style with vinegar and a little hot pepper flake.